Prepare yourselves. You know all of those people on your Christmas list that are IMPOSSIBLE to buy for? Your parents who don’t really want any gifts? Your best friend who has everything? The co-worker you drew for Secret Santa? Heck…anyone you need to buy for that you really want to WOW with something personal and meaningful? 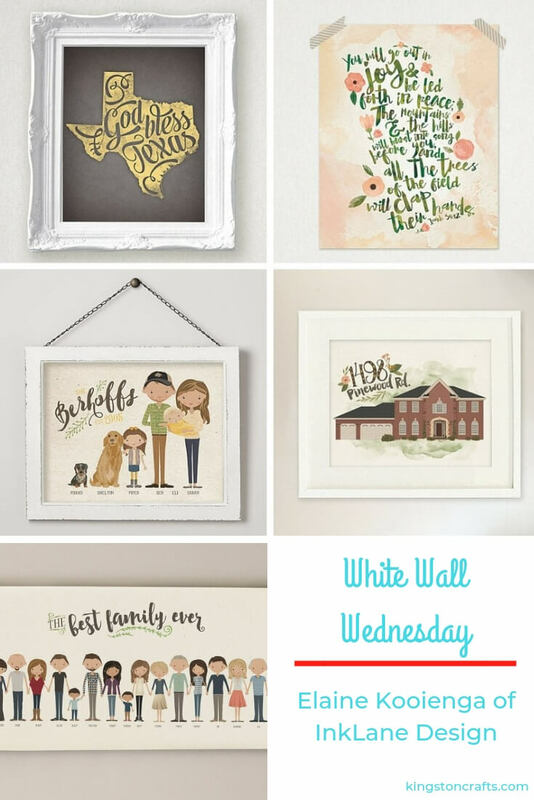 My friends – I give you Elaine Kooienga of InkLane Design – the latest installment in my White Walls Wednesday series! “Hello, I’m Elaine! I’m a designer, illustrator, Marine [vet] wife, lover of all things creative, and master multi-tasker. 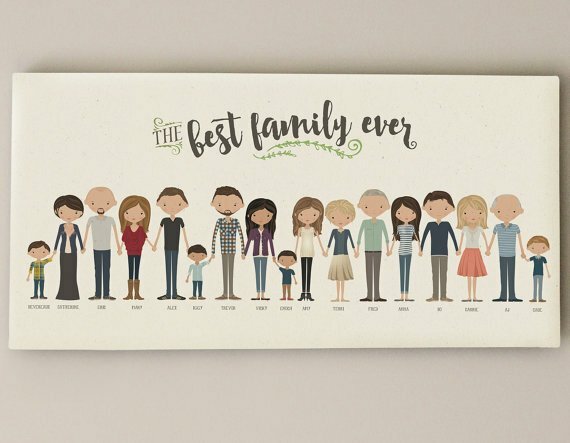 InkLane Design started out as a little something to do in the evenings after my full time graphic design job, but really took off once I began illustrating custom family portraits. My first one was a gift for my brother and sister in law, and on a whim I listed it in the shop. 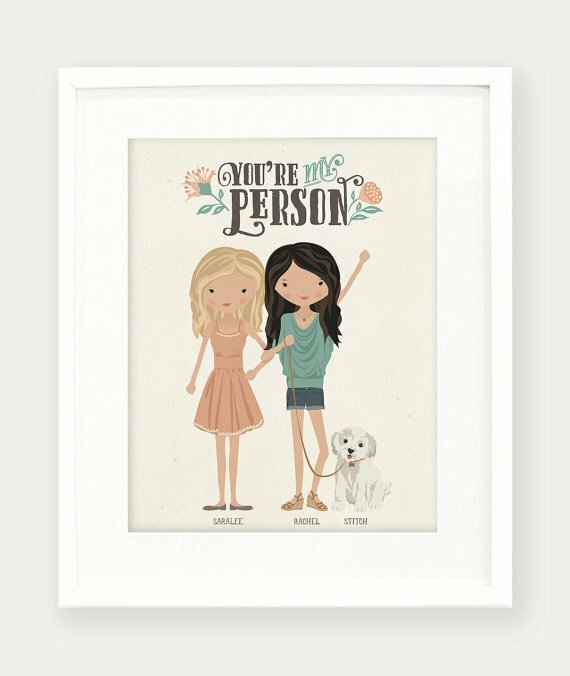 I am so humbled with the response I’ve gotten from these quirky little illustrations! I have so much fun working on them and love putting together all the details that make each one unique. 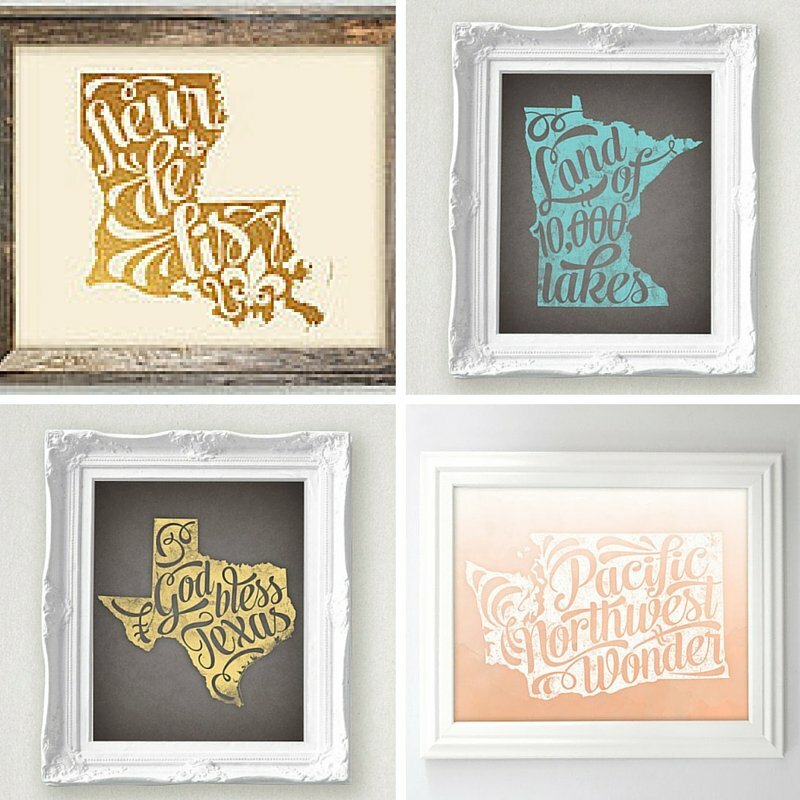 One look at these fun and fabulous prints from Elaine and your mind will start racing with all of the gift giving possibilities. 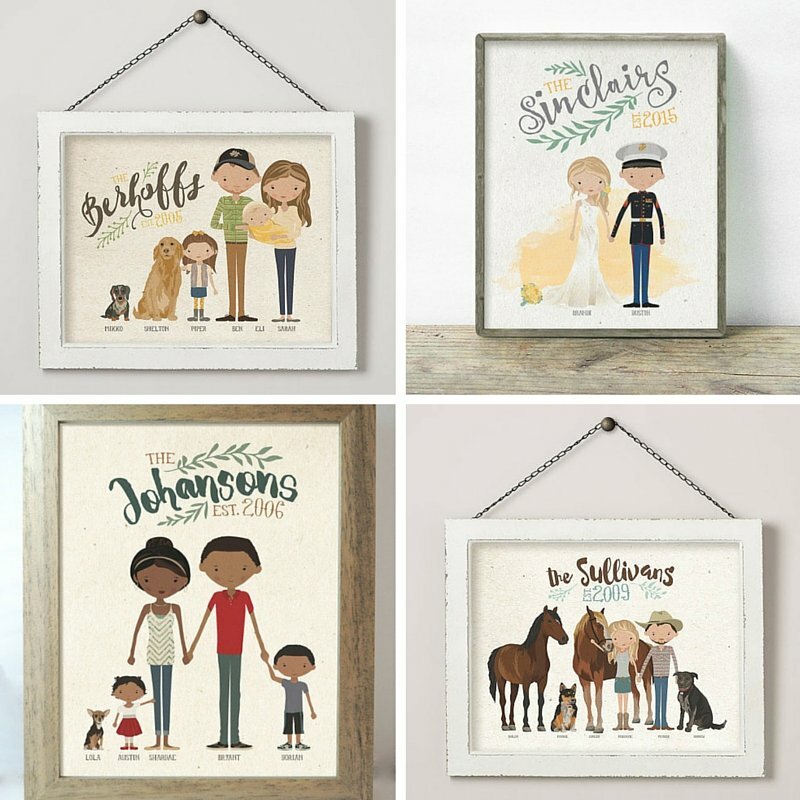 She will customize a family portrait down to the tiniest detail! Mom and Army Dad with three kids? Yes! Single Mom with two kids and a cat? Yes! Couple with two giant great danes (coughcoughKingstonscoughcough)? Yes! Newlyweds? Yes! How much would ANYONE on your Christmas list love to receive this? Remember that best friend who has everything? And those grandparents/parents who don’t want anything and are impossible to buy for? Know someone who bought a new house this year? 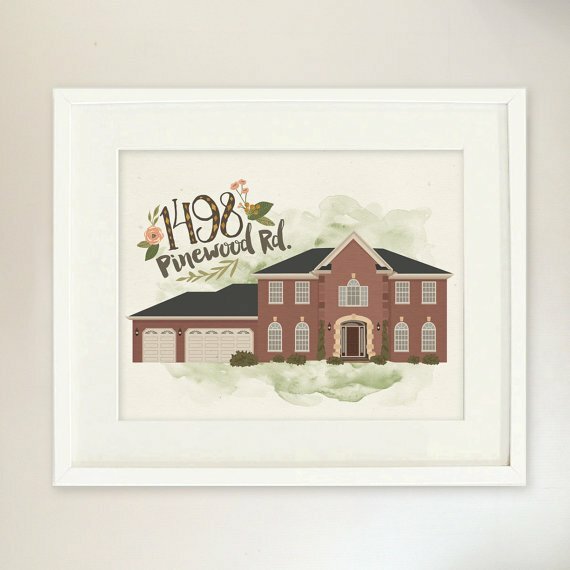 How much would your folks love a print of the house where they raised their family? Elaine also has downloadable prints (starting at 5.99! how great is that!) that would be perfect for any occasion. How about that college student who has moved away from home? Or your co-worker who was born and raised in the same place? 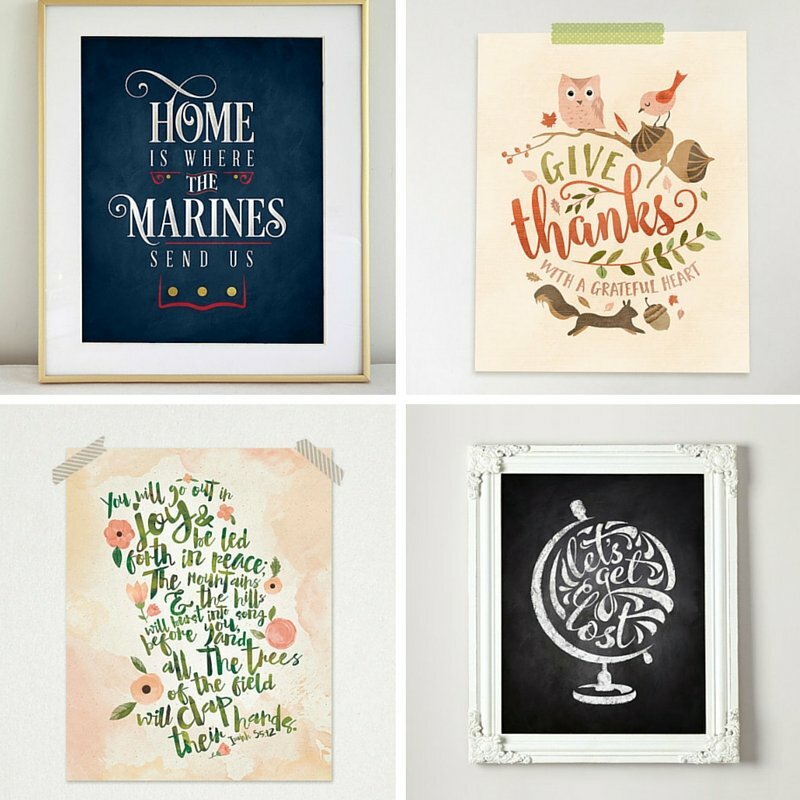 Elaine has so many gorgeous choices…the “Home is Where” print would be a perfect housewarming gift for your new neighbors. How about downloading that “Give Thanks” print and putting it in a frame to give as a hostess gift this Thanksgiving? Or select one of the bible verses available for the women in your Bible Study group! Know someone having a baby? 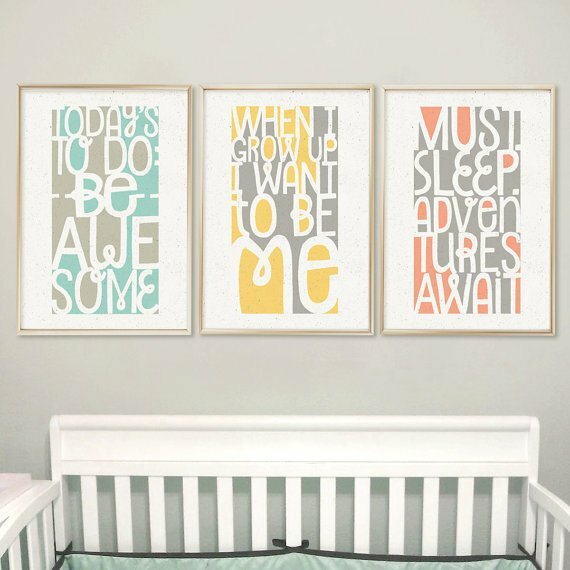 How about some nursery wall art? Ready to print or customizable?